The Department of Psychology at Western Washington University seeks applicants for a tenure track Assistant Professor open area position with expertise in applied research methodology to begin September 16, 2019. The candidate should have a PhD in Psychology or closely related discipline. Potential domains of focus might include: community psychology, applied cognitive, cross-cultural or multicultural psychology, aging, health, educational psychology, I/O, applied developmental, applied social, or applied clinical psychology. Methodological areas of focus might include basic and advanced applied quantitative methods, quasi-experimental design, qualitative methods, program evaluation, community-based participatory methods, or applied measurement. The successful candidate will have a strong, systematic, theory-based program of applied research and will be expected to teach courses at the undergraduate and graduate level in their area of expertise, as well as in research methods and statistics. Required qualifications include a Ph.D. completed by September 16, 2019, evidence of an active research program that applies psychological theory, a commitment to research to promote individual or community well-being, publication record, teaching experience, a commitment to teaching excellence, an ability to contribute to our undergraduate teaching curriculum, a demonstrated ability to mentor students in research or community projects, and demonstrated commitment to equity and inclusion. Preferred qualifications include independent applied research experience, research that bridges multiple content areas, and experience with cutting edge computational data science tools. Salary is commensurate with experience. To view the full position announcement, and to apply, please visit https://careers.wwu.edu/ Review of complete files will begin October 15, 2018; position open until filled. 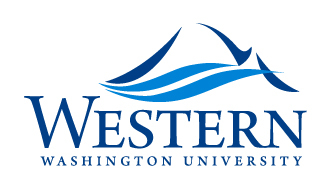 For more information about Western Washington University, see https://www.wwu.edu/psychology. AA/EOE.